Criticism has been made of a fund to boost less-well off towns post-Brexit after no cash for Wales was announced. The seven-year £1.6bn Stronger Towns Fund aims to stimulate jobs and growth in England. It is likely to trigger further funds for Wales but first minister Mark Drakeford said it was unclear how much. Plaid Cymru's Jonathan Edwards said Wales "must get its fair funding". The UK government said it will "seek to ensure" towns in Wales could benefit. Labour MPs called the move a "bribe" to get MPs to vote for Theresa May's Brexit deal, which she has so far been unable to get through the House of Commons. Chris Bryant, Rhondda MP, said he was "furious", while Cardiff North's Anna McMorrin said as far as she was aware "this is money from an English budget" and was not "new money". Welsh First Minister Mark Drakeford said officials were seeking "more clarity" on the announcement. "It's not clear as to how much of the £1.6bn is to find its way into the Welsh budget", he said. Under the way funding works for the nations - known as the Barnett formula - new cash on English public services generally results in more money for Wales. 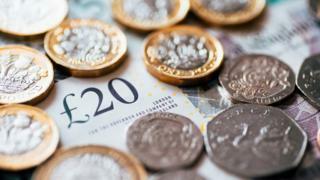 At least £1.5bn of the cash is new funds, which is likely to trigger further funds for Wales, but it has not been confirmed how much this may be. A spokeswoman for the Ministry for Housing, Communities and Local Government said details will be confirmed in "due course" for additional funding for Wales, Scotland and Northern Ireland. Mr Edwards said: "Of course, there are many places in east of Offa's Dyke that have suffered because of Westminster's obsession with the south east of England. But Wales must also get its fair funding share. "The British Government must come clean on whether normal Barnett consequentials will apply to this fund. Westminster cannot go on doing dodgy deals that see other parts of the UK get a cash-injection, whilst Wales gets nothing." A UK Government spokesman said: "The UK Government will seek to ensure that towns in Wales can benefit from the Stronger Towns Fund, building on the success of our City and Growth Deals initiative. "Arrangements for Wales, along with Scotland and Northern Ireland, will be set out at the forthcoming Spending Review."